Tech addiction — a childhood lifestyle disease — is generating anxiety among parents worldwide. With technology, electronic devices and Internet access becoming ubiquitous, and children taking to gizmos and gadgets with manic frenzy, there’s fear that excessive exposure to computers, smart phones and gaming consoles is creating an entire generation of tech addicts who will need medical care and remedial therapy before they attain adulthood. In particular, there is rising panic about children and youth’s growing addiction to video gaming which is emerging as a popular form of entertainment. 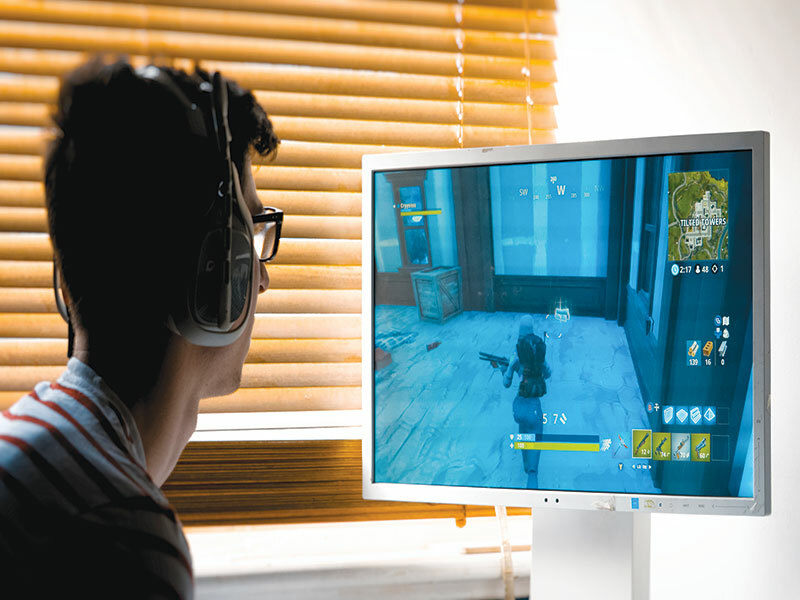 In June, the World Health Organisation (WHO) released the 11th edition of its International Classification of Diseases (ICD), in which it has categorised ‘gaming disorder’ as a mental health condition. WHO defines gaming disorder as “a pattern of behaviour for at least 12 months in which gaming is out of control” and “increased priority given to gaming” to the point that gaming “takes precedence over other interests and daily activities”. With one in three Internet users being children and teenagers aged below 18, according to a December 2017 report of Unicef, there’s rising concern that children and teens will become the biggest victims of gaming disorder even as the online gaming industry, as per a March 2018 report by industry association FICCI and consulting firm Ernst and Young, is flourishing with an annual average growth rate of 27.5 percent between 2016-2020. Like most lifestyle diseases, gaming addiction begins innocuously with parents gifting children gaming consoles for play and entertainment. The history of Ganesh Srinivas, a final year Chennai-based engineering student, is illustrative. He was gifted a new Nintendo DS, a dual-screen handheld game console, when he was in class III and allowed 30 minutes every day to play. With every game completed, he realised he was getting better. He loved the challenges and rewards of the gaming world. In class X and XII, he gamed to relax during study breaks. But soon, the breaks started extending beyond 30 minutes. Also, the activity stressed him out, with every game requiring him to be fully focused — in constant flight or fight mode. Gradually, the rewards and stimulus of goals achievement kept him glued to the console/computer for over six-seven hours at a stretch. He skipped meals and reduced his sleeping hours. His grades began to fall and he experienced significant weight loss. Fortunately, his parents realised that he needed professional counseling to help him understand the difference between the virtual and real worlds and he began to disengage from compulsive gaming. “In my over seven years of clinical experience, I have treated many cases of children, especially teenagers, suffering from mild to severe gaming addiction. They skip homework, neglect their studies and nutrition and change their everyday routines to play video games. Children and teenagers who have impulse control problems have a greater tendency to become addicted to online games. Though mild gaming is harmless, severe addiction requires professional treatment. I am happy WHO has classified it as a mental disorder, it will greatly help set protocols for treatment,” says Dr. Sagar Mundada, an alum of the Grant Medical College and JJ Group of Hospitals, Mumbai, and consultant child and adolescence psychiatrist. According to Mundada, online/video games are designed to get children hooked by activating the pleasure centres of their brains. “Gaming has the same effect on the pleasure centre of the brain as, eating chocolate. Giving up a pleasurable activity is difficult for children and teens. But while research on the diagnosis and treatment of gaming disorder is still in its infancy, there’s sufficient evidence that excessive gaming adversely impacts children’s attention spans and creativity and limits social interaction. Moreover excessive play of violent games may make children anti-social and violent in real life,” he adds. In a 2010 study conducted by Brigham Young University, Utah, USA, undergrad Alex Jensen and his faculty mentor, Laura Walker, found that young adults who played video games excessively had poor relationships with friends and family. According to Jensen, young adults “remove themselves from important social settings to play video games”. 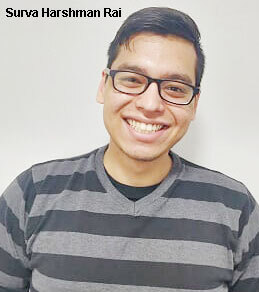 Surya Harshman Rai, an alumnus in game design and production of Abertay University, Scotland, and currently lead game designer for Aetherfall Games, Scotland, says that the built-in reward systems of video games explain their addictive potential. “Video games are conduits of instant gratification. An action reaps rewards, and this feedback loop continues, making gamers feel they are achieving a lot in limited spans of time. This immediate impact on players, where their action is instantly rewarded, causes children susceptible to addiction to get hooked onto gaming. With virtual and augmented reality technologies becoming more common, everyday applications and products will become gamified. Parents need to educate children and youth about the difference between the real world and the virtual world of gaming,” advises Rai. With gaming companies increasingly using latest virtual/augmented reality technologies to hook players to their games and some also organising tournaments with big prize money, professional gaming has emerged as a full-time career choice. “Gaming as a profession is gaining traction in India. Companies sponsor gaming tournaments and offer large cash prizes to winners. But the chances of winning are minute. I would advise that children and teens should not be misled by the claims and lures of prize money,” says Venkat Lakshmanan, a student of SRM University, Chennai, and a gaming enthusiast. Although informed opinion in academia and the medical profession is that compulsive gaming is detrimental to the health and well-being of children, a study conducted in 2017 by Barcelona-based neuroscientist Marc Palaus indicates that some games which test visual acuity, boost the volume of the right hippocampus, spatial memory and navigation, and produce long-term improvement in cognitive capabilities. Treatment for gaming disorders is still in its nascent stages in India with most counsellors using the same treatment line as Internet addiction. 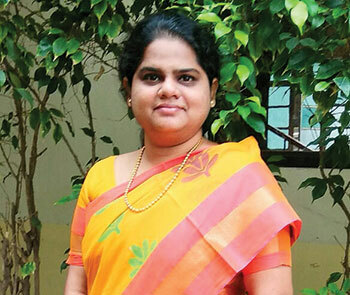 Reshma Malick, counselor at the TTK Hospital, Chennai, says she usually advises family/individual counseling to wean children/teens from compulsive gaming. “Family counselling sessions are recommended because the entire family particularly parents, need to be actively involved in helping children to reduce gaming activity. I’ve counseled children who sacrificed sleep and food and have become violent because of their addiction to gaming. In such extreme cases, medication as well as counseling is required. However the prime responsibility to prevent and cure gaming addiction is of parents. They need to be alert and observant and nip children’s gaming addiction in the budding stage. Restricting children’s gaming time from early age and encouraging them to develop hobbies, play sports and engage in non-tech activities is necessary for developing their self-control impulses and prompting them to lead healthy and balanced lives,” says Malick. Introduce children to new activities and hobbies by enroling them in a hobby/skill class. Help your child draw up an everyday schedule. Discuss how and when gaming can be fitted in. Mandate ‘no-tech family times’ during which there’s a comprehensive ban on using tech devices. Erect physical barriers to unlimited gaming. Move the gaming console to the living room or choose a console site which is easily visible. Prescribe a time limit for gaming. Enforce it strictly. 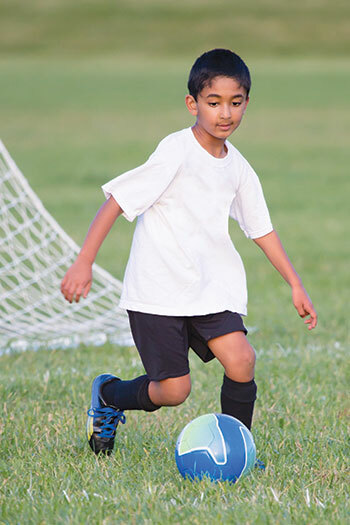 Encourage children to play field games, racquet sports or other physically testing activities which also release endorphins or ‘feel good’ hormones. With hi-tech digital gizmos and gadgets becoming ubiquitous in middle class homes across the country, there’s a clear and present danger of gaming addiction blighting the lives of children and teens. Parents need to alert them that innocuous gaming can transform into addiction. Here are some early warning symptoms to look out for to nip creeping gaming addiction in the budding stage. Obsession with video games. When children and adolescents become preoccupied with one or more favourite video games and keep talking and reading about it to the extent that their concentration and attention is diminished. For instance, they are unable to converse, complete homework, prepare for exams, miss deadlines and no longer spend time with offline friends. Lying about time spent playing computer or video games. A sign of imminent addiction is when children start telling little lies about the time they spend gaming. They may tell their parents that they are doing homework when in fact, they are playing video games for hours. The first step is to move the gaming console or personal computer out of the bedroom. Loss of interest in other activities. Neglect of schoolwork is usually the first symptom of digital gaming addiction, followed by diminishing interest in hobbies, sports and games. Social isolation. Teenagers and children addicted to video games undergo noticeable personality changes. They show declining interest in friends and siblings, and claim that their best friends are online. They become withdrawn and anti-social. From defensiveness to anger. Depending on their personalities and how seriously parents enforce rules, children becoming addicted will respond differently. In the early stages, they are likely to bargain (“I promise to finish all my homework if I can finish this one level — just few more minutes”). Subsequently, they tend to rationalise time spent video-gaming (“I don’t fool around as much as other kids” or “at least I’m not out drinking or using drugs”). When lying, bargaining, and becoming defensive no longer works, firm insistence on time limits and discipline is likely to arouse anger, hostility, swearing and insults, and even physical aggression. Using video games as a coping mechanism. 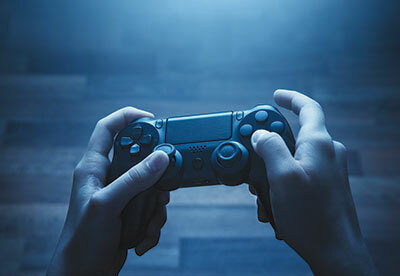 Individuals — especially teens — experiencing the pains of adolescence may be escaping into the world of video games to avoid dealing with real life problems. A child who lives in a dysfunctional home environment may retreat into video gaming for comfort and to gain a sense of control. In such cases, imposition of time limits and discipline will create greater problems. Parents need to introspect and examine their relationship. Continuing to play despite serious real world consequences. A clear sign that an individual has become addicted is when he continues to play despite things falling apart.